She sells sea shells in the Seychelles… Wait a minute. Forget about shells. Tell me about all those fancy hotels, beaches, Creole food and nightlife. Our Seychelles guide. I WAS HAVING breakfast in the open-sided restaurant by the beach at the Coral Strand hotel when two birds suddenly settled down to join me. The petite one sported a bright orange breast identifying it as a Madagascan Fody, while the larger was the more demurely feathered Barred Ground Dove. For bird and plant life enthusiasts even the mass-market hotel where I was staying on the main Seychelles island of Mahé is rewarding, adding a close-to-nature dimension to a beach holiday. Since the 100-plus islands in the Seychelles have only had permanent residents for 235 years and even now the total population is only 81,000, the natural flora and fauna of the islands have survived since the world began. The largest and most developed of the islands, with the international airport located conveniently halfway down its northeast coast, Mahé is 59 square miles of mini-mountains, tropical foliage and stunning beaches secluded in coves along its rugged coastline. Almost 90 percent of the nation’s population live and work (but at their own pace) on Mahé, which has about 1,450 guest rooms. The capital, Victoria, reflects the island’s personality with new buildings gradually easing out the wooden Creole cottages of old, and supermarkets (often with empty shelves when goods are in short supply) beginning to change the corner store and traditional market shopping habits. Souvenir shops offer plastic reproductions of the islands’ notorious nut, the Coco de Mer (see Vallee de Mai below) and raunchy T-shirts but there are also galleries showing bold paintings by local and foreign artists. The capital’s landmark is the silver painted clock tower (a scaled down version of one on London’s Vauxhall Bridge Road) at the centre of the main crossroads. Overlooking it (on the first floor of Victoria House above the Nouvobanq) is a newly opened restaurant, Le Rendezvous (tel: 323-556), which has all the buzz of being the island’s “in-place”. It offers great Creole food (and enormous ice creams) at prices (Octopus salad, about US$12; Creole black sausage on braised bell peppers, about US$13) that are no more expensive than in a roadside dive. Actually roadside dives are hard to find as many have closed down due to lack of business. At Anse La Mouche on the island’s west coast, while driving back from the Banyan Tree Resort, I found Anchor Café (tel: 371-289). More like someone’s garage than a dive, meals (order from a hatch in the wall) are served to trestle tables and cost about US$12 for a quarter chicken or fried fish. It’s a contrast to the resolutely upmarket Banyan Tree with its 37 superb villas of various grades of luxury by Intendance Bay in the island’s south. Every villa, whether located in the forest, on rocks, or beachfront, has a private swimming pool. The 15 beachfront villas come with an additional private spa pavilion. Dining is discreet at Banyan Tree, whether in-villa or in one of its elegant restaurants serving Thai or Asian and international dishes. Expectedly lush and polished is the Four Seasons Resort Seychelles, which overlooks the bay of Petite Anse and the Indian Ocean, 30 minutes from the airport. This latest Seychelles addition offers 67 villas and suites plus 28 residences spread over a hillside of coconut, mango, jackfruit and cinnamon trees and down to the private, horseshoe beach. Cool airy living space is complemented by plenty of outdoor space. Traditional Creole style is the order of the day with natural woods and stone, including existing granite boulders that have been incorporated into the villa interiors. All suites and villas have a private pool, small flat-screen TV, CD/DVD player and WiFi. Bathrooms boast deep tubs and outdoor showers. Try the hilltop spa with five spa pavilions and large dedicated yoga space and zone out over the views. As with all Four Seasons hotels and resorts, the children’s facilities are second to none. In this elegant enclave, families with young children are as welcome as any svelte bronzed babe is to a zoom camera lens. Beach babes and beach babies happily coexist here. Brides are welcome too – intimate groups (no more than four) can say “I do” in the ruins of a traditional Creole house. For an eclectic range of dining and staying possibilities, the island’s northwest point has long been the favourite. North of Victoria, the 30-year-old Le Sumer is an unpretentious place to stay with 13 rooms, a pool, low-priced Creole cuisine and free entrance to its disco for guests. (The current favourite disco is the open-sided Katiolo (entrance 100 Seychelles rupees; US$1 = approx SRs5.4) at the southern end of the airport.) Across the island from Victoria, at Beau Vallon Bay, the Boat House (tel: 247-898) commences its nightly (except Mondays) serving of all you-can-eat Creole buffet at 7.30pm, reservations essential, in an open-sided barn, for SRs125, including taxes. Actually on the beach with a retro Sixties’ Italian ambience, Al Mare (tel: 620-240, e-mail:almare@email.sc) has a lively bar and a restaurant with a menu of pasta and Creole dishes. For Indian dishes, the Mahek (tel: 621-8355, closed Tuesdays) is open for lunch and dinner. 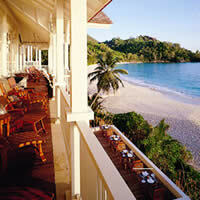 It is part of the Coral Strand Hotel whose Bistro by the beach features good Creole dishes. The hotel also has a bar on the beach where local lifeguards mingle with guests and the barman slips favoured clients samples of grilled fish. The hotel has 140 rooms, all rather basic. Its neighbour, the Berjaya Beau Vallon Bay Resort & Casino - Seychelles, is slightly more glamorous and has 232 rooms of which the 25 superior and 48 chalet-style rooms have a bath while the others, in blocks, have bathrooms with showers. The resort sprawls inland from the beach in a well-maintained garden. The casino is open from 9pm to 3am for gaming but seems to lack excitement. Le Meridien Fisherman’s Cove is at the northern end of the Beau Vallon Bay beach and has recently been revamped to keep it among the island’s top hotels. Its 70 rooms and suites have a choice of contemporary or Creole décor and all have private balcony or terrace with sea view. Its public rooms have a chunky appearance (large solid wooden furniture) and a saxophonist plays for buffet dinners. Less sophisticated, and consequently cheaper, the Coco d’Or is a complex of restaurants and rooms about a five-minute walk inland from the bay at the Coral Strand end. It has a pleasant atmosphere with obliging service (a laughing waitress escorted me to my taxi in the rain with her umbrella) and a garden bar. There are 25 rooms and a swimming pool. Poised to set a new standard in value-for-money hospitality at half the price of its more pompous competitors, The Northolme has undergone complete change. The original grand hotel of the Seychelles, built before the first world war, that hosted the usual suspects ranging from Somerset Maugham to Ian Fleming, it had lost the plot until taken over by hoteliers from the Maldives. Now the place has been revived offering 14 oceanfront and 26 ocean view villas, each exquisitely timbered and furnished. The villas have all the latest luxuries (flat screen TV, espresso maker, wireless Internet access, etc) and exude an atmosphere of the good taste that signals “class”. All villas have a bedroom with four-poster bed, an en suite living room, bathroom with rain shower and Jacuzzi for two, enormous deck balconies above the beach with double daybed and sun loungers, and 24-hour room service. There are two restaurants and several bars including Q’s Bar. (The Ian Fleming suite comes with extra James Bond refinements.) This is an adult hotel with no children under 12 allowed. It’s a destination in itself, designed to appeal to the kind of guests the Seychelles would dearly like to entertain. After a 15minute flight from Mahé, the prop plane touches down at Praslin’s (pronounced Prar-lyn) airport with its new terminal building sporting a deep pitched roof typical of Creole architecture. The atmosphere of the island is defiantly casual (there are about 5,000 inhabitants) yet the hibiscus hedgerows are carefully clipped and the roads are tidy – so someone does care. Bored looking locals with Rasta braids amble around and although the island resembles those in the West Indies, the people lack the calypso swagger typical of the Caribbean. 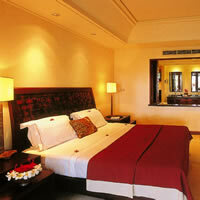 There are less than 900 guest rooms in Praslin, including the 10 luxury self-catering villas known as Les Villas d’Or. These are in a beachside garden setting and offer privacy and tranquillity – as well as close proximity to local snack shops if self-catering palls. With tiled floors and a grand colonial appearance, the villas are within walking distance of a casino. 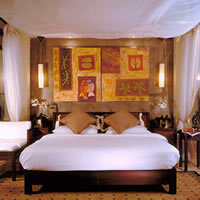 The latest hotel to boost the room numbers is the Raffles Praslin Seychelles (open February 2011). The 30-hectare resort features 86 contemporary villas, each with a cooling plunge pool and shady outdoor pavilion. The Oceanview Villas have suntrap balconies looking out towards the rocky Curieuse Island, while the Hillside Villas are hidden among the greenery and offer outdoor rain showers. The Panoramic Villas are built on the highest point of the resort. As well as a spa and a good variety of bars and restaurants, this family-friendly resort has a kids' club with activities and playrooms designed for different age groups – toddlers (under fours), children (four to 12) and teenagers (12-18). 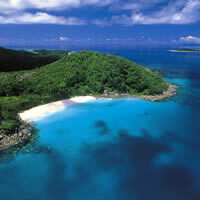 La Reserve offers much Creole charm on a beach by itself in the calm, shallow bay of Anse Petite Cour. Its 16 bungalows, four suites and 12 villas are spacious. The hotel boasts that it has the largest swimming pool in the Seychelles and its pool grill is popular with non-residents for lunch, dinner and cocktails as well as afternoon tea. At the other side of the island, Grand Anse has a profusion of small guest houses with the popular Indian Ocean Lodge set by the island’s largest beach among mature takamaka trees and bright tropical plants. Its 32 rooms are in eight separate Creole style units (hipped roofs and wooden swing louvres) around a central, thatched restaurant. The pride of Praslin is the five-star Lemuria Resort located at the northern end of the island’s south coast highway. Only five minutes from the airstrip, it seems worlds away from Praslin, being steeped in Country Club exclusivity. Strung out along one of its glorious trio of beaches are 96 suites in two-story apartment blocks, eight villas with individual pools, and the largest presidential villa in the word (sleeps six, from 12,000 euros a night). Its 150 hectares of palm groves include an 18-hole golf course. Chauffeured golf buggies are on call to save guests the hike from room to reception and restaurants, one of which is a thatched pavilion poised on rocks between two beaches. The Resort’s Turtle Club runs activities to relieve stressed parents of their energetic children by the day. Water and land sports (including golf) are free to guests but green fees are 84 euros for non guests. A spa offers “holistic hairdressing” (trim 40 euros) and “transforming day experiences” such as a seven-hour “cocooning imperial” for 595 euros. Although only a few years old, Lemuria has a mature, even dated, appearance and this clearly suits guests who want to treat themselves to what they feel is the best. Also look at the Berjaya Praslin Resort - Seychelles. This island is a favourite of those seeking traditional Creole culture. Here, ox-cart taxis and hired bicycles (think US$10 minimum) are the usual form of transport, although mini-buses now scoot along its tiled roads. Only 20 minutes from Praslin by scheduled schooner ferry, La Digue epitomises the Seychelles with its secret beaches, lush mountainous scenery and carefree Creole way of life. It also has a nature reserve where the island’s own Black Paradise Fly Catcher struggles gamely against extinction. Acclaimed as the most conventionally beautiful (decidedly rural) of the islands, La Digue has 2,500 inhabitants and about 200 guest rooms, mostly in informal guest houses. The largest hotel (60 rooms) is La Digue Island Lodge with accommodation that includes rooms (bathroom in basement) in the 100-year old Creole style Yellow House, A-frame garden chalets of takamaka wood and thatched with latanier leaves, with rooms clubbed together in the beachside Plantation House. Wood and island artefacts predominate in the cosy bar and thatched roof restaurant that serves excellent meals prepared under the direction of a Sri Lankan master chef. Daily boat and land excursions are provided free of charge and there is a diving centre with PADI qualified instructors. Chateau St Cloud was a vanilla plantation house whose slave quarters have become charming guest cottages, and recent refurbishment has added wood panelled annexes. Situated some 15-minutes walk inland from the jetty, the hotel has a swimming pool and a pavilion restaurant and bar of varnished wood, in a lush garden. The restaurant is renowned for its tender octopus curry with shark chutney (75 euros), and jolly service. This island of 375 acres, 95km north of Mahé, is privately owned with 60 residents and a hotel that has come under the management of Indian-managed Taj Hotels. The hotel is Denis Island Resort and consists of 25 cottages linked by paths that meander through a jungle of casuarinas and coconut trees, home to flocks of flamboyant birds. The resort’s central restaurant provides nightly culinary excitement with many ingredients (including scrumptious roast suckling pig) coming from the island’s own farm. Flights by Air Seychelles between the island and Mahé can be arranged by the hotel. Among the private island resorts, explore North Island Resort, North Island, a private nature “sanctuary”. This top-drawer lodge-style resort consists of 11 luxurious villas. The Sainte Anne Resort & Spa is similarly sited on a private island with 87 self-contained villas. Among its offerings – that include ample lashings of nature and idyllic seclusion – is a spoiling spa. Alphonse Island is about 450km southwest of Mahé. The Alphonse Island Resort can comfortably manage most tasks, including conventions, with 25 chalets and five executive villas overlooking a lagoon. Information: The Seychelles Tourism Marketing Authority, Bel Ombre, PO Box 1262, Mahé, tel: 620000; fax: 620620 (e-mail: seychelles@aspureasitgets.com and www.aspureasitgets.com). The local currency is the Seychelles Rupee (SRs) although hotel prices are quoted in euros. The exchange rate hovers around 1 euro = SRs6.94 and 1 US$ = SRs5.41. The international dialling code for Seychelles is 248. There are public telephones of two companies (Cable & Wireless and Air Tel) in the main islands and phone cards (SRs105 for 120 units) can be purchased from outlets near the telephones. Cable & Wireless runs a cyber café at its main office in Victoria where an hour’s Internet surfing costs SRs34. At an independent cyber café in a house next to the Coral Strand Hotel the rate is SRs18 an hour, while at the café in Praslin it is SRs100 per hour. Getting There: International scheduled flights serving Mahé Island (code: SEZ) are operated by Air Seychelles, Emirates and Qatar Airways. Air Seychelles flights between Mahé and Male’ (Maldives) are being closed. Getting Around: The best value is the local buses at SRs3 from point to point whether from one side of the island to the other, or just a few blocks. Taxis – although metered in Mahé – are expensive; expect to pay the equivalent of at least US$10 for the 6km ride from Victoria, the capital, to Beau Vallon Bay. The cost of a self-drive vehicle begins at 60 euros a day for unlimited mileage with fuel costing approximately US$20 for a day’s touring. Car rental: Try Thrifty Car Rental, Victoria, Mahé; tel: 247-052; fax: 321-421 (e-mail: thrifty2@seychelles.net). In Mahé, Ben Lovette Nourice (tel: 361-014, mobile: 715-207) is an obliging private chauffeur with rates by negotiation. Prestige Car Hire, Grand Anse, Praslin; tel: 233-226; fax: 233-050, was the supplier of cars for the filming of Castaway. In Praslin, Simon Savy, (tel 512-146) is a charming and knowledgeable taxi driver to whom I paid SRs120 (about US$24) for a 12km round trip journey from the jetty to Cote d’Or. Ferries and inter-island flights: There are scheduled flights and ferries between Mahé and Praslin. For non-residents, the airfare is quoted as 52 euros one way by Air Seychelles, tel: 384-400; fax: 384-350 (e-mail: info@airseychelles.com and www.airseychelles.com). By Cat Cocos ferry which runs twice a day, the fare by sea is 45 euros one way upper deck or 40 euros lower deck (tel: 324843.). Between Praslin and La Digue there is a scheduled ferry service at a cost of 19 euros return, reserved seats (Inter Island Ferry Pvt Ltd, tel: 232-329; fax: 232-374). Helicopter flights between Mahé and the islands of St Anne, Fregate, La Digue, Felicite, Praslin, Aride, Denis, Bird, and Silhouette are available through Helicopter Seychelles, Victoria, Mahe; tel: 385858; fax: 373055 (e-mail: res@helicopterseychelles.sc and www.helicopterseychelles.com). Mason’s Travel, Victoria, Mahé. Tel:  288-888; fax: 225-273, (e-mail: info@masonstravel.com or www.masonstravel.com). Excursions from Mahé to Praslin and La Digue by boat (120 euros) or air (170 euros), full day bus tour of Praslin (65 euros), full day La Digue tour (85 euros), and full day Mahé bus tour (60 euros). Creole Holidays, Victoria, Mahé. Tel:  280-100; fax: 225-817, (e-mail: info@creoleholidays.sc or www.creoleholidays.sc). Travel Services Seychelles, Victoria, Mahé. Tel:  322-414; fax: 322-401, (e-mail: tss01@seychelles.net). Unless stated, rates are for a double per night, without meals. Hotels and restaurant bills attract a 7 percent government tax, and have to be paid in foreign currency, traveller’s cheques or foreign credit cards. Service charge of 10% percent is sometimes added. Banyan Tree Seychelles, Anse Intendance. 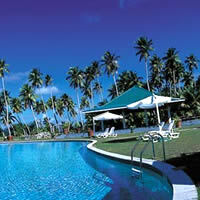 Tel:  383-500, fax: 383-600, (e-mail: seychelles@banyantree.com or www.banyantree.com). Berjaya Beau Vallon Bay Resort & Casino - Seychelles. Tel:  287-287, fax: 247-943, (e-mail: bhrseysm@berjayaseychelles.com or www.berjayahotel.com/mahe/). Coco d’Or, Beau Vallon. Tel:  247-331, fax: 247-454, (e-mail: pleasure@seychelles.net). Coral Strand Hotel, Beau Vallon Bay. Tel:  621-000, fax: 247-517, (e-mail: coralres@seychelles.net or www.coralstrand.com). Four Seasons Resort Seychelles. Tel:  393-000, fax: 393-001, (www.fourseasons.com). Le Meridien Fisherman’s Cove, Bel Ombre. Tel:  677-000, fax: 620-900, (e-mail: reservations@lemeridien.sc or www.lemeridien-fishcove.com). Le Surmer, Pointe Conan. Tel:  241-811, fax: 241-527, (e-mail: lesurmer@seychelles.net). Northolme Hotel, Glacis. Tel:  299-000, fax: 299-001, (e-mail: lenortholme@seychelles.net). Berjaya Praslin Resort - Seychelles, Anse Volbert. Tel:  286-286, fax: 232-244, (e-mail: bpbres@berjayaseychelles.com or www.berjayahotel.com/praslin/). Indian Ocean Lodge, Grand Anse. Tel:  233-324, fax: 232-911, (e-mail: iol@seychelles.net). La Reserve, Anse Petite Cour. Tel:  232-211, fax: 232-166, (e-mail: lrmk@seychelles.net or www.lareserve-seychelles.com). Lemuria Resort, Anse Kerlan. Tel:  281-281, fax: 233-000, (e-mail: resa@lemuriaresort.com or www.lemuriaresort.com). Les Villas d’Or, Cote d’Or. Tel:  232-777, fax: 232-505, (e-mail: villador@seychelles.net or www.seychelles.net/villador). Raffles Praslin Seychelles. Tel:  296-780, (www.raffles.com). Chateau St Cloud, Anse Reunion. Tel:  234-346, fax: 234-545, (e-mail: stcloud@seychelles.net or www.chateaustcloud.sc). La Digue Island Lodge, Anse Reunion. Tel:  292-525, fax: 234-132, (e-mail: reservation@ladigue.sc or www.ladigue.sc). Denis Island Resort. Tel:  321-143, fax: 321-010, (e-mail: denis@seychelles.net or www.tajhotels.com). 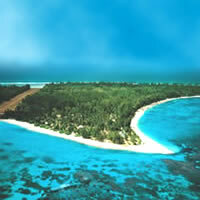 Alphonse Island Resort. Tel:  229-030, fax: 229-034, (email: alphonse@seychelles.net or www.alphonse-resort.com). North Island. Tel:  293-100, fax: 293-150, (email: info@north-island.com or TinaG@wilderness.co.za and www.north-island.com). Sainte Anne Resort & Spa. 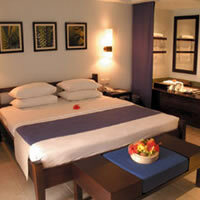 Tel:  292-000, fax: 292-002, (email:sainteanne@bchot.com or www.beachcomber-hotels.com).